Are you getting ready to add a Frenchie to the family? If so, there are a few things you could be doing to prepare yourself and your home for your new French bulldog puppy! Before bringing home your new Frenchie, you should have a pretty good understanding about the breed itself. 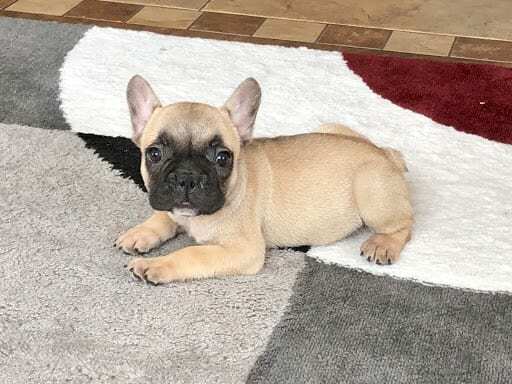 With a charming personality, stubbornness to training and an endearing infatuation with their owners, there’s more to your French bulldog puppy than meets the eye. That’s why research is vital before bringing your pup home! As a leading French bulldog breeder in Indiana and surrounding states, our experienced team at Family Puppies understands the French bulldog breed like the back of our hands. This knowledge not only helps us raise our French bulldog puppies for sale, but allows us to ensure their new owners are well-educated and properly prepared to add a new Frenchie to their family. Many soon-to-be dog owners tend to forget to utilize the most useful resource that’s right in front of their nose: their breeder! What food have you been feeding them? How much does a French bulldog shed? What essentials should you buy? Do they have any favorite toys? The list goes on and on when you’re trying to prepare for a French bulldog puppy. To sort it all out, we suggest making a puppy checklist of things to purchase before bringing your pup home! Remember, these are only the essentials to have set up and ready before introducing your pup to their forever home. It’s a good idea to have a kennel—used not for punishment—but for establishing boundaries and potty training. Get a larger crate that has an insert that you can adjust as your puppy grows so that they’ll never feel cramped. There are plenty of reasons why your Frenchie needs both a harness and collar. Most importantly, they need a collar to display their ID tag and a harness to support their body when on walks. Items that you will not forget to purchase includes the puppy’s food (remember to ask your breeder for suggestions on what food to get!) and bowls. House training is a lengthy process with any puppy, so some handy puppy pads are a must. This will allow your puppy some leniency as they’re learning and save your floors from some avoidable accidents. Many ask the question, “Do French bulldogs shed?” The answer is yes, they do! Luckily, it’s pretty easy to manage with just some routine grooming with a rubber-bristled brush, taking care of any loose dead hairs. And with their short, single coats making hotter climates a struggle, regular brushing will actually better their circulation and oil production, improving the overall quality of their coat. You’ll be faced with puppy teething and playful nips as soon as you bring your pup home so it’s best to be prepared with some safe chew toys as well as stuffed animals for your puppy to cuddle with at night. For the safety of your new Frenchie and your belongings, we suggest doing a sweep of your home to locate any potential hazards that your puppy may face. This includes hiding away electrical cords, stowing away any valuable personal items (for the time being), and putting anything that could be poisonous to your puppy (houseplants, cleaning supplies, etc.) out of paw’s reach. Your house is big when it comes to a puppy’s perspective—often too big. That’s why most owners create a space for their new pup in their home, equipped with all of the essentials they’ll need and a smaller area to explore at first. Your breeder may have a few suggestions for vets that they have worked with that already know your puppy, but be sure to secure a vet before bringing your pup home. One of the most important things you must do in order to prepare for a French bulldog puppy is freeing up your schedule. These dogs are made for companionship and will definitely need you during their first few days in a new environment without their mother or siblings. We suggest taking a few days off of work to start, and after that, try not to leave them alone for full days, especially with that tiny puppy bladder! Do you think you’re ready to bring home one of the most loving pups you’ll ever meet? Check out the French bulldog puppies for sale through Family Puppies in Indiana. These amazing Frenchies are brought up in a loving and warm environment and we look for the same in the people who purchase them. Give us a call today at 574-354-2428 to learn more!